A New Hampshire poker dealer recently comprised every player’s worst fears by rigging a game. 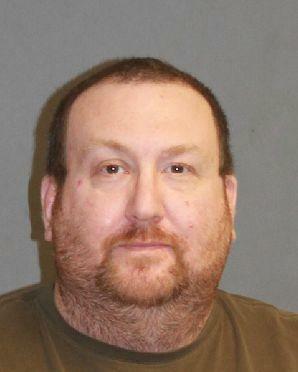 Christopher Hopf, 40, was arrested at a Nashua casino for steering winning hands to an accomplice player. According to the authorities, they arrested Hopf, of Shirley, Mass, on charges of theft by deception. This crime is considered a Class A felony in the Granite State. They later discovered that Hopf was “manipulating the cards to help a player he was acting in concert with.” They acted on arrest warrants for both the dealer and the player, who has yet to be identified. What Kind of Penalty Does Hopf Face? A Class A Felony is subject to up to 15 years in prison, along with varying fines. Hopf’s criminal history — if there is any — would definitely weigh into what kind of sentence he’d receive. Chances are that he won’t get anywhere close to the full 15 years in prison. He’s currently out of jail on a personal recognizance bond and will be arraigned on March 21 at Hillsborough County Superior Court South. How Common Is a Cheating Poker Dealer These Days? Movies and TV shows make it seem like poker dealers stack the deck left and right to help accomplishes. Hopf’s crimes breathe new life into this scenario, which isn’t as common as Hollywood wants us to believe. A dealer can cheat with players, such as Hopf did, and split the profits afterward. However, casinos and the players themselves are pretty good at catching these perpetrators. If caught, a cheating poker dealer faces felony charges. In Hopf’s case, he’s looking at a maximum of 15 years in prison of things go badly enough in court. Therefore, most dealers have a strong deterrent not to cheat.